Typically, most people think of windshields needing repairs. But at some point you may experience damage to your car door glass. Driving with broken or smashed car windows exposes the driver and passengers to the weather elements. A car window that is broken or won’t roll up puts your vehicle at risk of rain damage and even theft. We recommend getting the car door glass replaced quickly to keep your vehicle safe and to avoid uncomfortable driving conditions as well as incurring more damage. We can provide a reliable solution to unwanted damage to your auto windows. Call us to get a free quote and schedule your window replacement. We typically finish within an hour and you’ll be back on the road feeling safe and comfortable again. 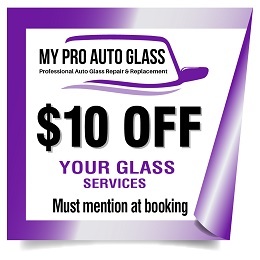 And, most often we can come to you to fix your vehicle’s window. Replacement is easy. One of our highly skilled technicians will inspect the damaged window; then remove the glass and clean up any remaining glass pieces. A new glass window will be put into place and made sure it is functioning properly. You’ll be back on the road in no time. Call us today to get your vehicle looking new again. Don’t delay – Call us today to get your Car Door Window Replacement or Repaired.